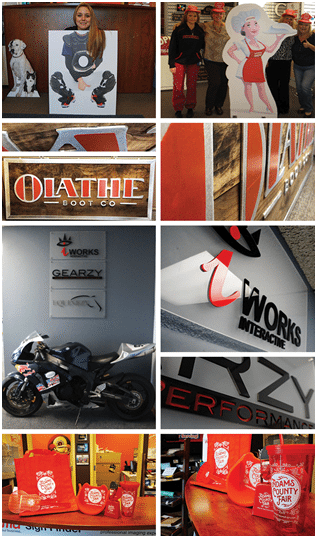 Don’t be a square; think outside of the box when it comes to your signage! Unique and interesting signage can grab attention from a far and near. Successful signs don’t hold back. They are huge, bright, 3-dimensional and aren’t too shy to stick out in their environment. Don’t be afraid to play with contrast, context, or fun colors. Use lights and movement to make your sign really stick out! In an ideal situation, signs will contrast their surroundings and be seen long before anyone is looking for them. 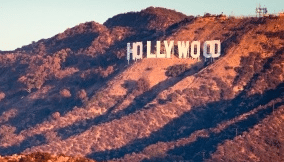 The Hollywood sign is a great example of this – the stark white letters contrasting with the surrounding greenery makes it a landmark you can’t miss. Its uneven placement on the side of the hill has made it an icon and a tourist attraction. Sometimes a logo or an image is used to represent a brand. Think of the steeples of the castle at Disneyland. Without even seeing the words, you recognize them, even more so at night when they are dramatically lit. Make your sign and logo unique so that people recognize your business before they even see your name. Break the rules and add interest to your sign with an electronic message board. The images and movement of the changing messages will gain attention. How many times have you driven down a street and looked at a message board to see what it says, because the business is clever with its information? Be the turtle who decided to do it differently than everyone else! Contact Signarama today to learn how we can help.